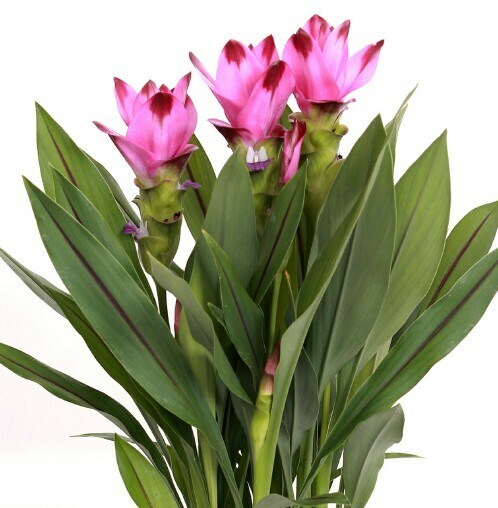 Pink blooms with dark purple tips and green leaves with a red central vein. Upright growing habit. Great for a containers and gardens in a full sun to part shade spot. Keep evenly moist for best growth.